Park Lawn was founded in 1955 by a small group of parents who challenged national and state legislature that only provided funding for the education of children deemed "educable." Recognizing untapped potential in their children, these parents were determined to provide opportunities to help them lead active and productive lives. Parents began teaching their children in classroom space donated by a church in Evergreen Park. Other families seeking similar services joined them. 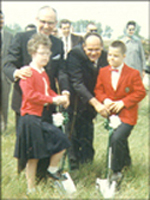 In 1968 state funding became available to hire professional staff and construct the first permanent school facility in Oak Lawn. 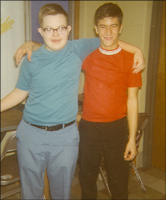 Named after the communities of its origin, Park Lawn soon became a leading resource of hope and opportunity for individuals with developmental disabilities. In 1972 an addition was constructed to provide adult services. Further expansion came to meet changing needs and increased capabilities of program participants. The addition of vocational workshop and residential facilities soon followed. Today, over 500 individuals enrolled in Park Lawn's programs have the opportunity to pursue a life of productivity, independence and happiness, the same as any other individual. We believe that people with disabilities earnestly wish to live a normal life. They want to go to school, hold a job that truly needs to be done, a place to live comfortably, and they want a full and active social life. Within this context Park Lawn provides adult developmental training, vocational services, supported employment, residential opportunities, and recreational activities. All are backed with professional staff support.